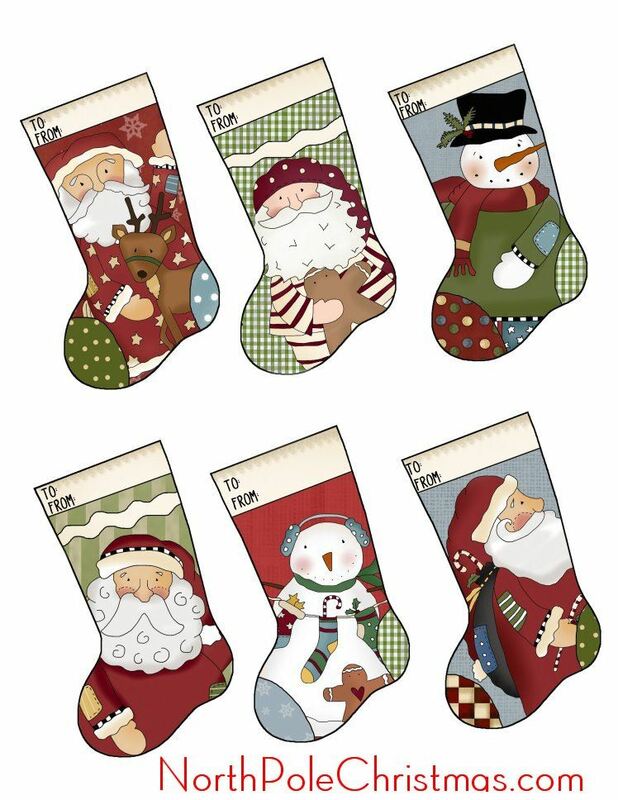 Print a sheet of Christmas stocking tags with Santas and snowmen. Free printable gift tags, hang tags. Attach a string and fill out the to and from.